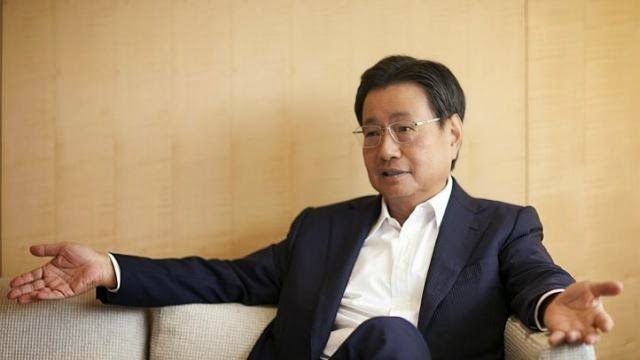 Wing Tai Holdings chairman Cheng Wai Keung has said that slashing prices is not the best way to increase sales in the luxury home segment amid the current property climate, as developers run the risk of tarnishing the brand image of their offerings. This is according to a report on the CNA website this morning. This is one of the reasons the company has not taken that option with its freehold Ardmore Parkproject, Le Nouvel Ardmore. Wing Tai has sold only three of the 43 units on offer but, under the Qualifying Certificate (QC), it has until mid-2016 to sell all the units. And for its 156-unit Nouvel 18located next-door, a joint venture with City Developments, QC rules dictate that it must obtain its TOP by Dec 17, which means all units must be sold by late 2016. “There is no point in lowering the price … it’s almost like retail — you don’t see the high-end, luxury products on a fire sale. If LVMH does that, it is destroying its brand. In the high-end segment, you’re selling a brand image; not for utility. If it’s for utility, you can never sell at that kind of price,” said Mr Cheng. Several developers have in the past months lowered prices of their projects to move units. For example, MCL Landhad cut prices of its Hallmark Residences in Bukit Timah by about 10% earlier this year. The wife and I cannot find any transacted price information for Le Nouvel Ardmore, since it is not mandatory for caveat to be lodged with the URA. However, we did find an August 27 listing on PropertyGuru for a 3,800sqft unit asking for $18 million. This worked out to be more than $4,700psf! And looking at another soon-to-TOP project nearby with comparatively smaller-sized units, the transacted prices for the 84-unit Ardmore 3 averaged around $3,300psf over the past 2 years (Aug 2012 - Aug 2014). So Mr Cheng may indeed have a point there: The luxury home market is catering to an entirely different playing field and even if prices were to drop by 20% (hypothetically), the absolute price quantum is probably still way too rich for even the "above average Joes". Given that the sector may not be as price elastic as the mass market segment, dropping prices to try and increase sales may not necessarily do more good (moving more units) than bad (brand erosion). But the question remains - how much further are developers of luxury projects with large number of unsold units prepared to hold on to their prices especially with their QC datelines looming? There is always a bright side to everything though: Those who have already bought into these projects need not worry about parking spaces when inviting their Lambo or Ferrari-driving friends over for dinner parties and such... for quite awhile at least. No Comment to " Wing Tai Chairman: No "fire sale" (for now) "